In network television shows, a spin-off seldom measures up to the original. Not true in yacht design, though, at least in the case of True North. 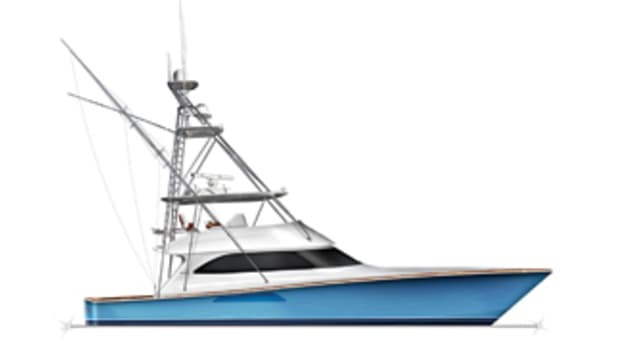 Introduced by Pearson Composites in 2001, its distinctive-looking 38 became an instant hit that was encored two years later by an equally well-received 33-foot version. 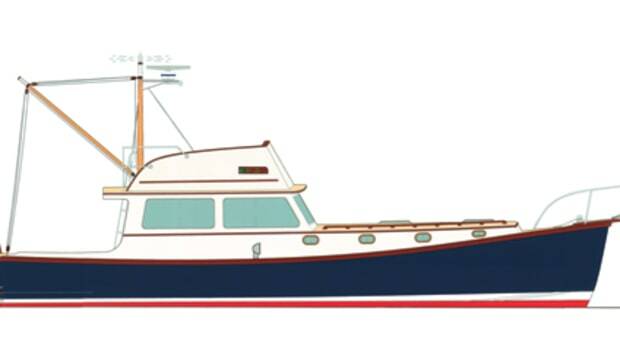 Now the builder is reprising the theme again, this time moving up in size to a two-stateroom 45-footer that offers subtle but significant refinements. 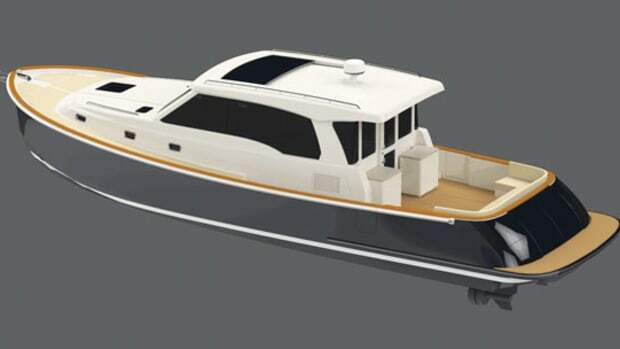 The new model maintains the same distinctive vertical stem and reverse transom that have made True North one of the more recognizable profiles on the waterfront. Like the 38, she has a composite skeg that protects her running gear while improving directional stability. 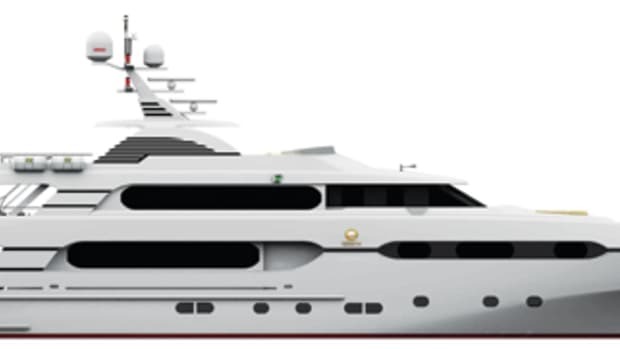 She also has a partial tunnel at the stern for a flatter, more efficient shaft angle and a modest reduction in draft. Moreover, beneath the engine space there’s a small pod molded into her bottom (a feature pioneered on the 33) that lets the engine sit deeper in the hull, achieving a lower profile and better stability. 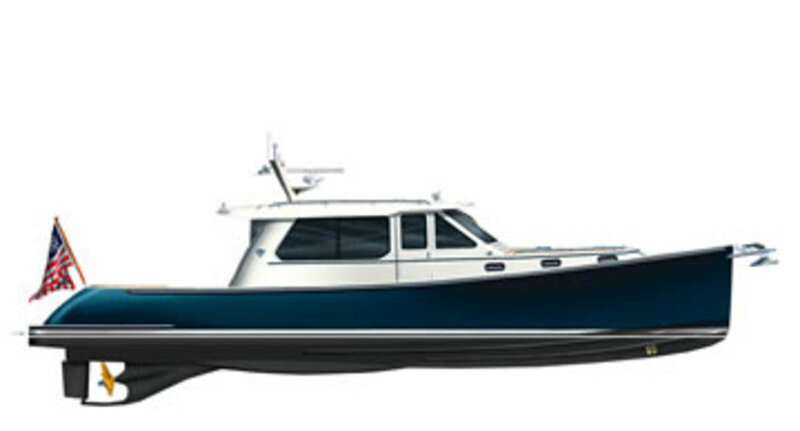 The long waterline length characteristic of the 38 is retained on the 45, but with a finer entry that should ride more smoothly in a seaway. 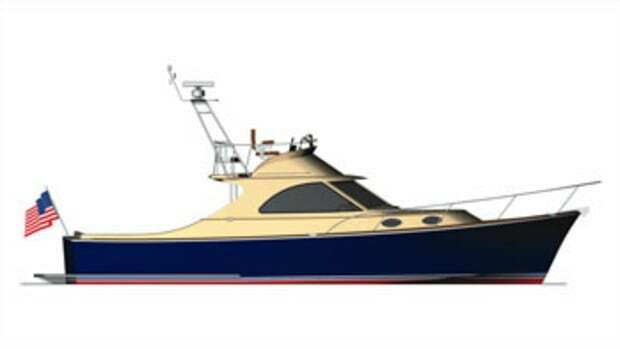 And unlike the 38, which carries her chine all the way forward, the 45 has a knuckle in way of the still waterline to eliminate “chine slap” while at anchor. Above the waterline is a secondary chine at the bow, with a seven-degree down angle that should keep spray at bay while underway but stay high, dry, and quiet while at rest. 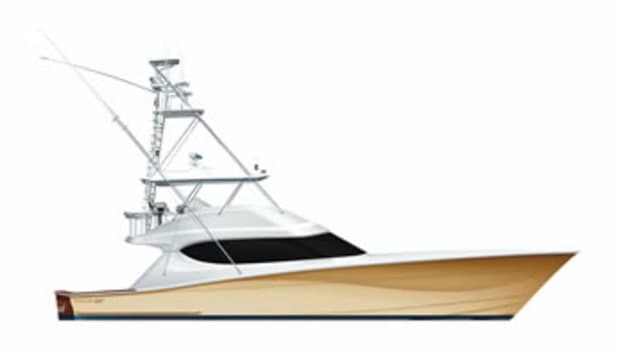 Certainly the biggest change in the True North 45 is her more spacious interior accommodations. 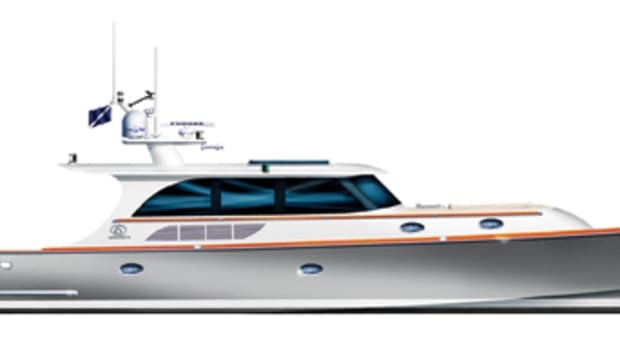 Unlike the 38’s V-berth forward, the 45 has a double berth with three-side access in her master stateroom. Youngsters or guests have their own stateroom along the port side (albeit with a funky layout; to get your feet into the sack, you’ve gotta shimmy over the pillows). 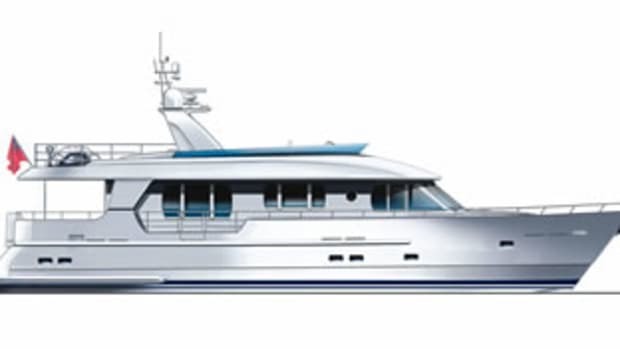 The best part though, is the cavernous deckhouse, boasting a roomy double helm seat, an even bigger forward-facing settee opposite on the port side, and a spacious galley/dinette/ saloon aft that opens out onto the generous cockpit seating area. 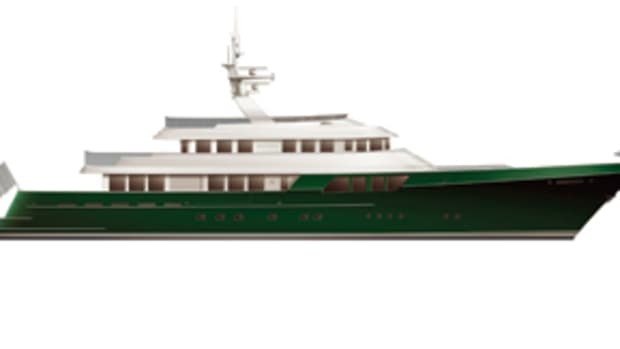 And with all the interior volume, there’s still room for wide walk-around side decks, not to mention an optional flying bridge. The 45 not only measures up to the original, she kicks it up a notch.